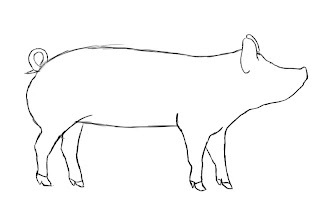 If you have ever wanted to know how to draw a pig, today is your day. Sometimes they’re cute, sometimes they’re gross– but either way, no farm scene would be complete without one. Let’s get started. If you’ve ever seen a pig before, you can probably tell that they have fairly simple bodies. Without even having a neck, the body of a pig is something of a solid cylinder. 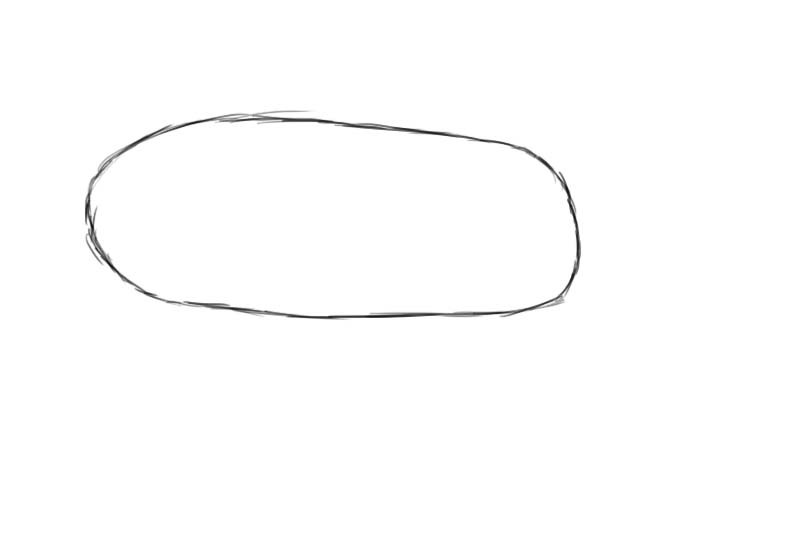 So, to start with, draw a large oval that will be the midsection of our pig. 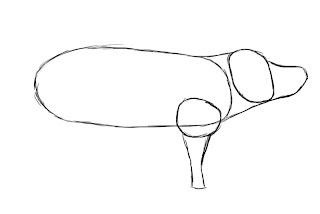 To make the head of the pig, draw a smaller vertical oval almost, but not quite, touching the larger one. This smaller oval should be about 1/5 the size of the larger one. 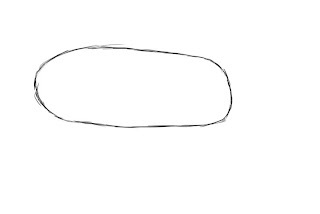 Attached to the smaller oval, draw a triangular shape which will become the pig’s snout. 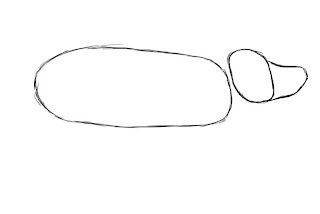 To place the front legs of the pig, draw a circle near the front of the larger oval, and an upside-down triangle shape beneath it. It should look almost like a child’s drawing of a tree. Also, as you can see in the image on the right, you can also draw lines that connect the two ovals you drew in the previous step. This will connect the body, neck, and head of your pig. To make the rear legs, essentially repeat the previous step. 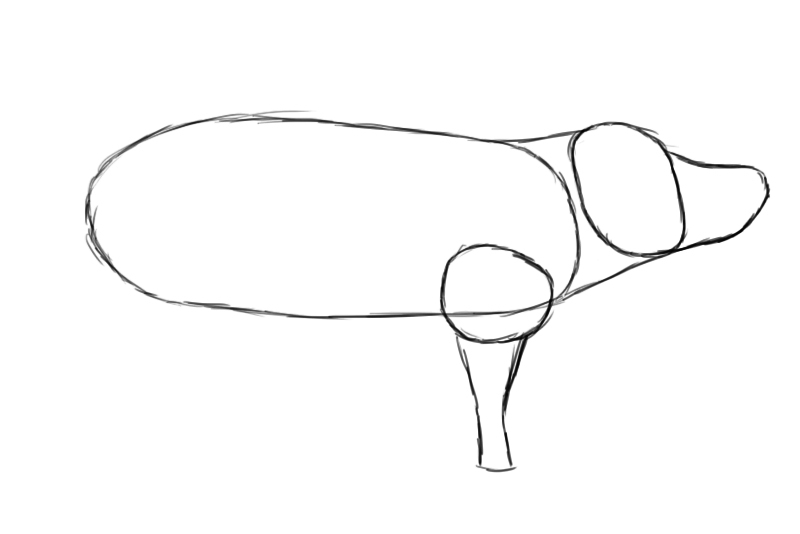 The main difference in this step is to make the rear legs of the pig slightly thicker. The pig’s rear legs also bend backwards a little at the knee joint. 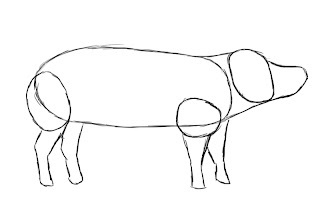 If you erase all the guide lines from the previous steps, you should be left with a fairly complete outline of your pig. 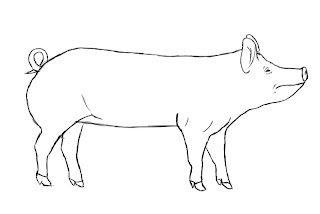 Draw in a couple small ears that sit at the very top of the pig’s head. And a curly tail on its rear. 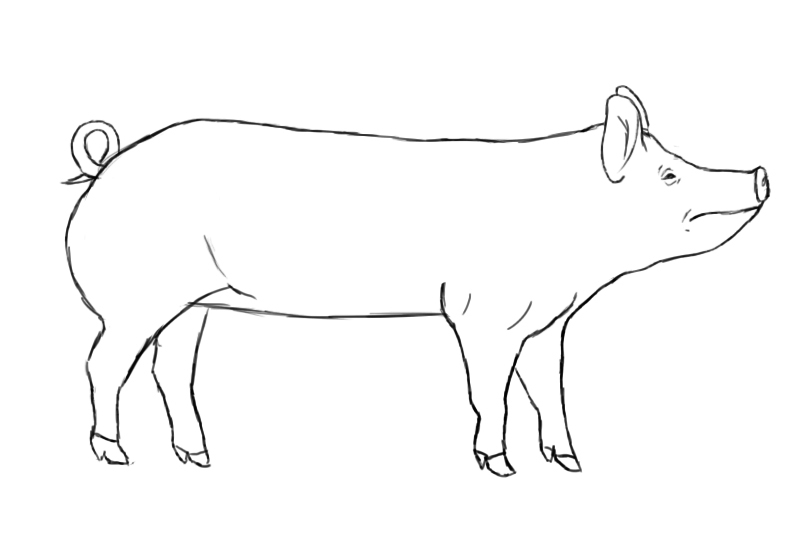 At the end of each leg, draw two small points which will serve as the pig’s hooves. 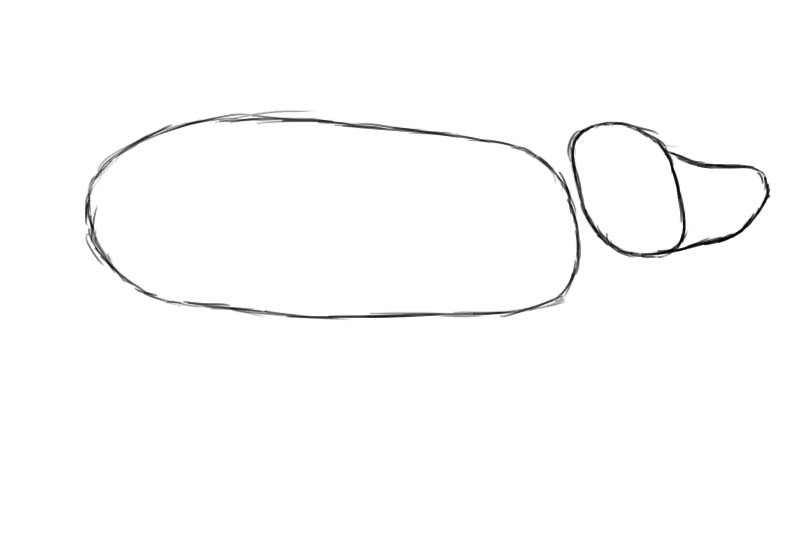 As you can also see, I changed the shape of the pig’s head a little, making the nose point upward a little more. By now your pig is almost completely drawn. The only thing left to do is to add a couple small details, like the nose and mouth. And add an eye between the pig’s ear, and the end of its mouth. 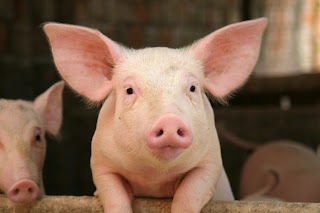 The pig’s eye is very tiny compared to the size of it’s head, and is slightly almond-shaped. 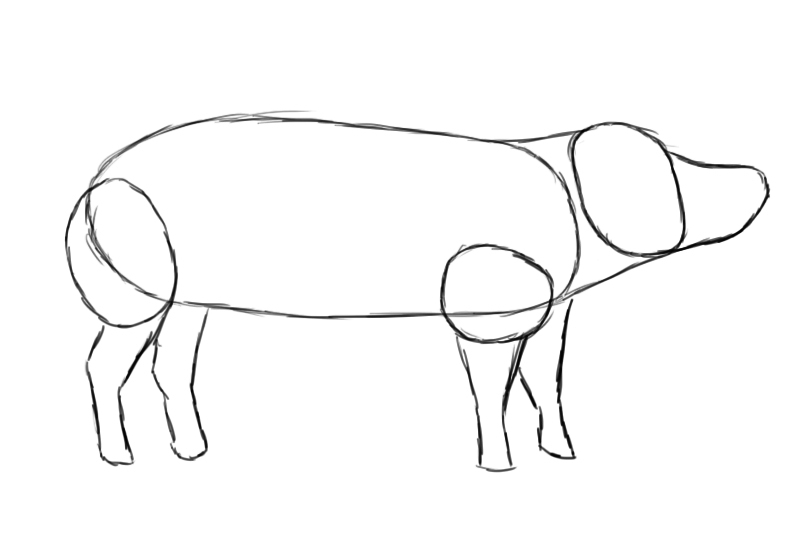 Add a couple vertical lines near the shoulders of the pig to suggest muscles under the skin. And that’s about it, your pig should look something like the image on the left. If not, just keep practicing!